The next few weeks my blog will at least twice a week feature a recipe made with courgettes aka the summer zucchini. 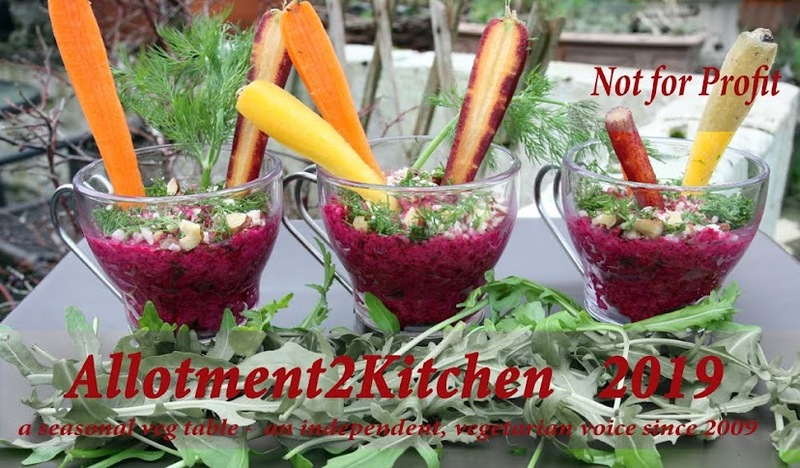 The reason, its in season - but mostly I have so much of it coming from the garden. 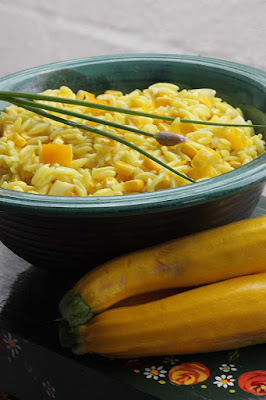 I've made a few courgette recipes, so will share them later, but today its Turmeric Lemon and Courgette Orzo. Its not much of a recipe, as I eye-balled everything. 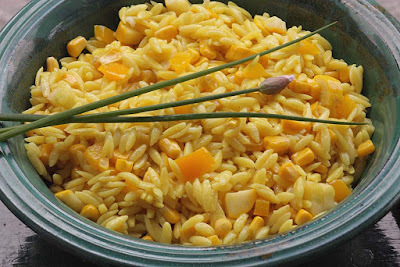 I began with 250g orzo pasta and 1/2 teaspoon ground turmeric to the rolling boiling water. 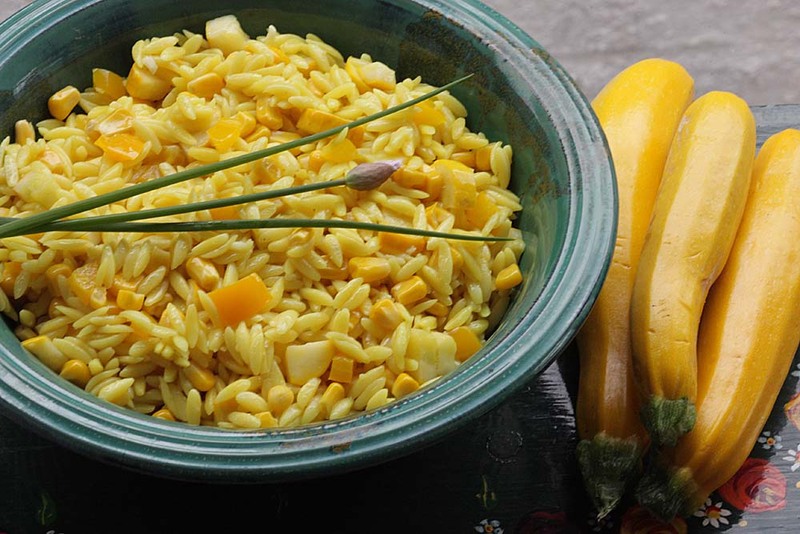 The ochre yellow turmeric dyes the rice shaped orzo pasta whilst cooking. The yellow courgettes are quartered and then sauteed in olive oil and minced garlic, I decided to continue with the yellow theme. And added in some diced yellow pepper and sweetcorn from a tin and seasoned with salt and pepper to taste. The final touch was drizzling over some good oil, I used Welsh Blodynn Aur Rapeseed Oil, but a good extra virgin olive oil would be fine too. Then finally I squeezed some fresh lemon juice to taste. I am not one for reading novels, but I recently picked one up called The Kitchen Congregation by Nora Seaton, perhaps it the fact that the story evolves around the kitchen that it appealed to me. Well I am a very slow reader, but I want to share an excerpt that made me think and grateful that I have D in my life. 'The pasta is ready, the sauce is ready, but my appetite is poor. I like to cook alone, but I don't like to cook only for myself. It was the process that fed me'. Optional: snip some fresh chives to the Turmeric Lemon Courgette Orzo Pasta. This dish was made for our working lunch. For a change I was able to eat it outside as the sun has been shining. So I walked on over to the little bit of green in the town centre with a friend and ate it al fresco in the sun. The recipe makes enough for 4 people. I loved it. I love how the silky smooth orzo just slid down your throat effortlessly. Although the colour was a little loud for D and he was a little nervous of dropping some on his lovely white working shirts, he liked it too. 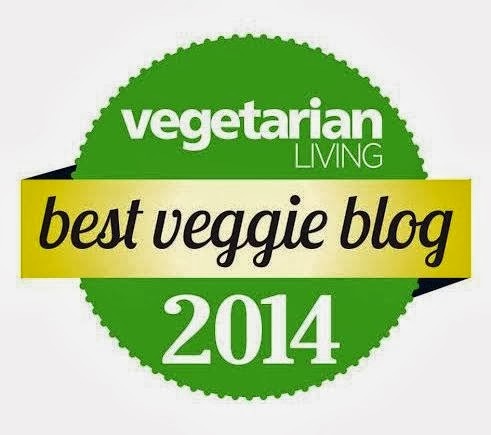 Do you have courgettes coming the allotment plot or your back garden? 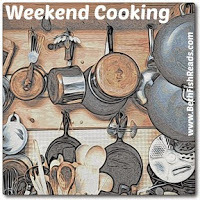 What cooking plans do you have for them?! 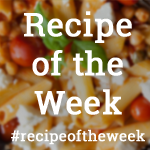 I am sharing this recipe with Weekend Cooking hosted by Beth Fish Reads; Recipe of the Week hosted by A Mummy Too; and Munchies and Munchkins for Eating Al Fresco. PS I will come by later this week, been really busy with work - so glad its the weekend. Thank you Johanna, yes cheery indeed. One of the reasons I love growing veg when I do, is you can grow those varieties you never see at the markets - but no purple cauliflower from my garden this year. I love yellow courgettes - just seeing their sunny colour makes me happy! I'm glad they've found their yellow counterpart with the turmeric too. I love summer squash! Excited to see all of your recipes! I never heard them called courgettes before but I really like that name. It's so golden and gorgeous! 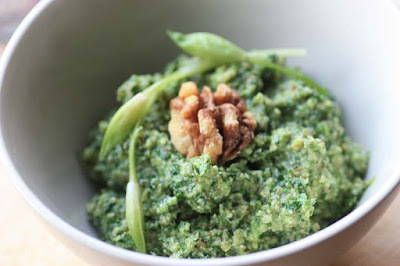 Great way to use up zucchini. Thank you Kimmy, like that you enjoyed the quote it humbled me. I am such a slow novel reader, so have another quote to share from the book later. Thanks.